Peter Sagan (Liquigas) picked up his second stage win of this year’s Vuelta a Espana in a sprint finish at Pontevedra on Thursday. The Slovakian outkicked John Degenkolb (HTC-Highroad) and Daniele Bennati (Leopard-Trek) to the line, as a twisting run-in caused small splits in the bunch. Bauke Mollema (Rabobank) and Fredrik Kessiakoff (Astana) profited most from the resulting time gaps. Of the GC contenders, only they gained time on their rivals, with Vincenzo Nibali (Liquigas) four seconds back and Britain’s Chris Froome and Bradley Wiggins (both Team Sky), and the other favourites trailing by a further second. Fabian Cancellara (Leopard-Trek) led the sprint out, doing a characteristically long and brutal turn on the front in the final kilometres. Sagan was sat on Bennati’s wheel as Cancellara peeled off, and jumped past the Italian as the sprinters closed in on the finish. 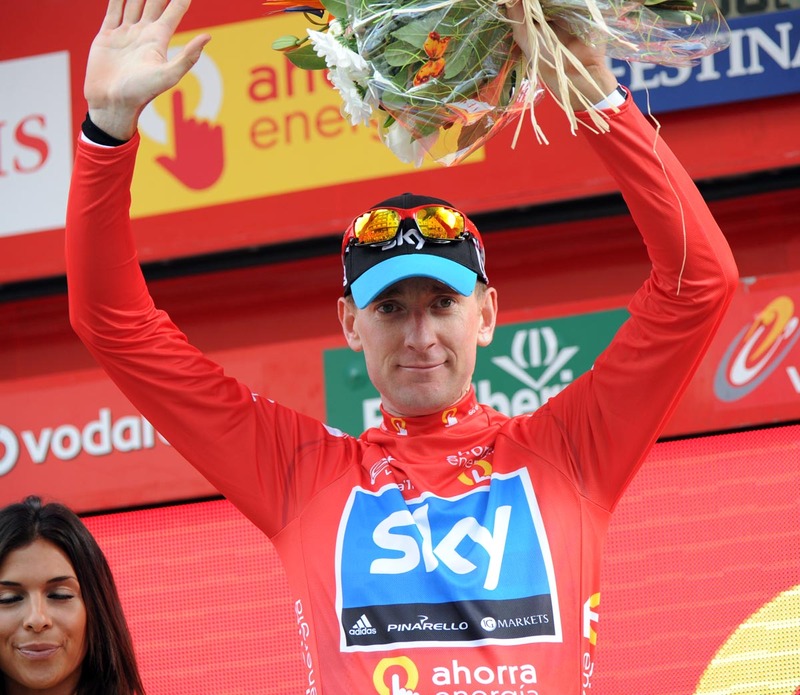 Wiggins remains in the leader’s jersey, with his steward Froome still in second. Kessiakoff moves up into third at the expense of Nibali as a result of the stage, leading him by one second and trailing Froome by two. On Friday, the riders face another testing day in the mountains on stage 13, a 158.2km trip from Sarria to Ponferrada.